I wasn't a steamboat person till recently. I've been to some of the good ones, and those not worth a mention ones, somehow I can't really find one that I wanted to go back often. Until one day Lisa message me whether I'm up for a steamboat food review, I was like why not. 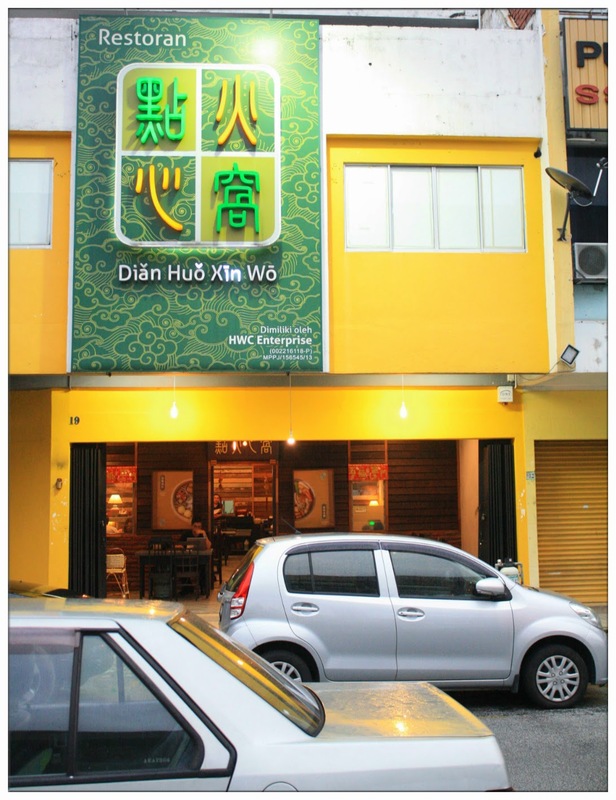 Hence I'm here at Dian Huo Xin Wo which located just beside the busiest highway LDP just right after Kelana Jaya. 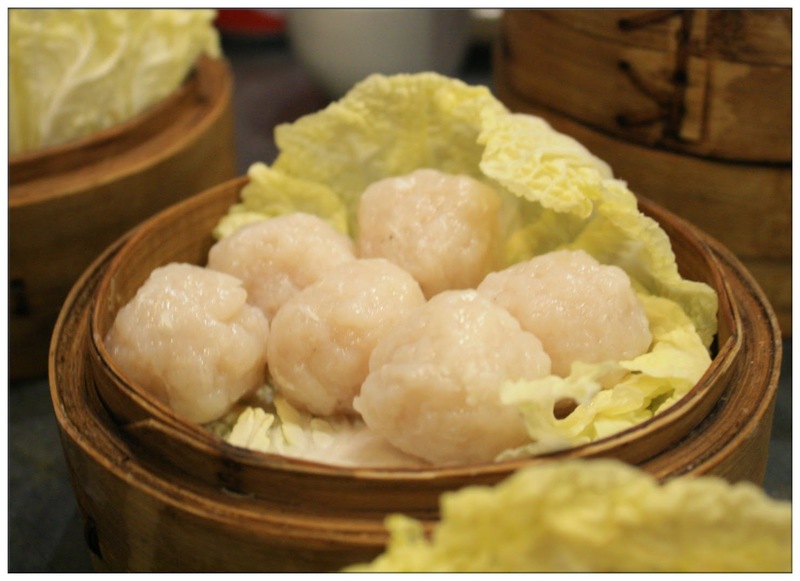 Dian Huo Xin Wo, located right beside Smart Hotel. 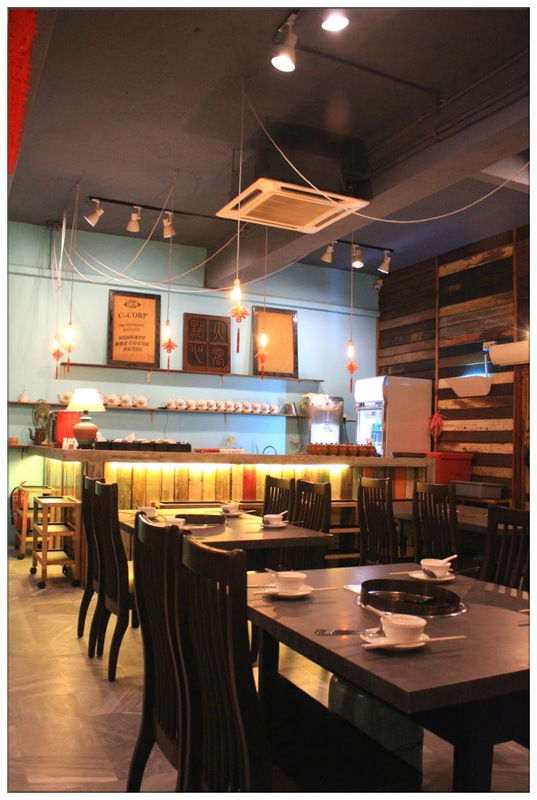 The interior of Dian Huo Xin Wo reminds me a lot of the old house I lived with my grandparents when I was small. They recreate the "rumah papan" (wooden house) interior which recalls the fond memories no matter you're a youngster like me, or in the 40s and 50s of age. Wait till you see their toilets, that is one true rumah papan toilet style which can be seen at no where within city and developing areas already! sauce pot, whose house has this still? 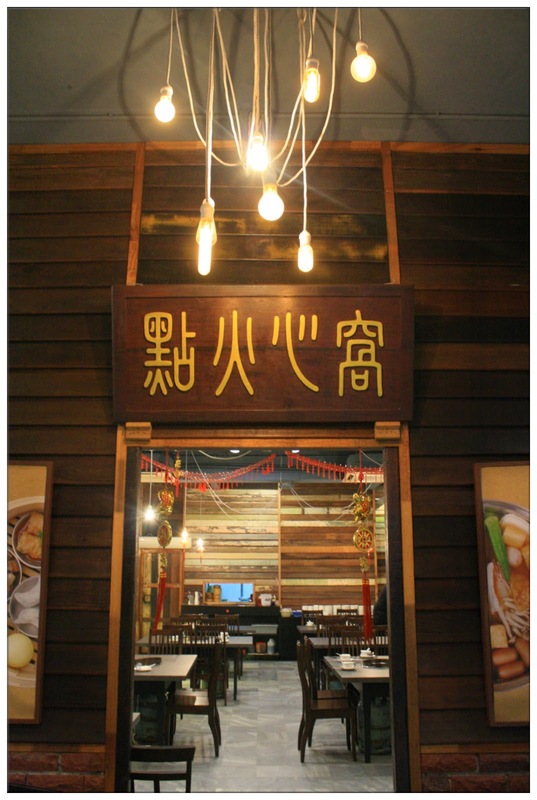 From the interior, you can see that the owner of Dian Huo Xin Wo really looks into detailing, traditional beauty and values. 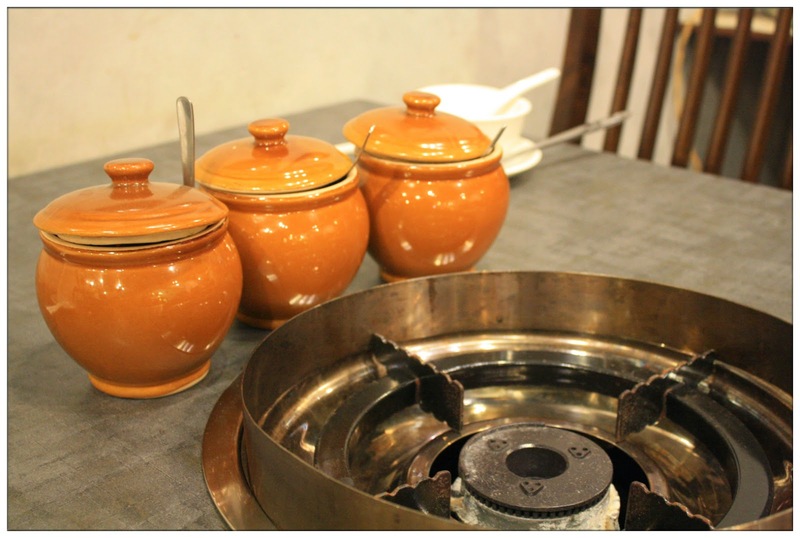 I really look forward for their food to be serve and can't wait to try all their house specialty. So when all of the invited guests arrived, there comes the appetizers. 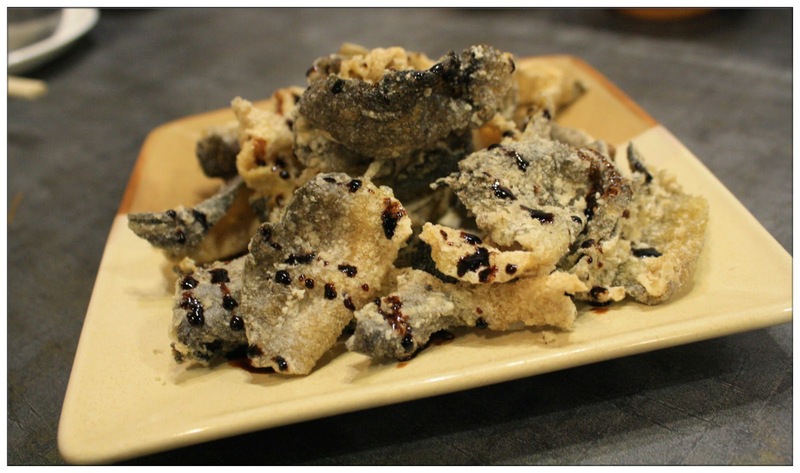 Crunchy-licious fried salmon skin taste so fresh and crispy that all of us keep eating it, it finishes in just a blink. 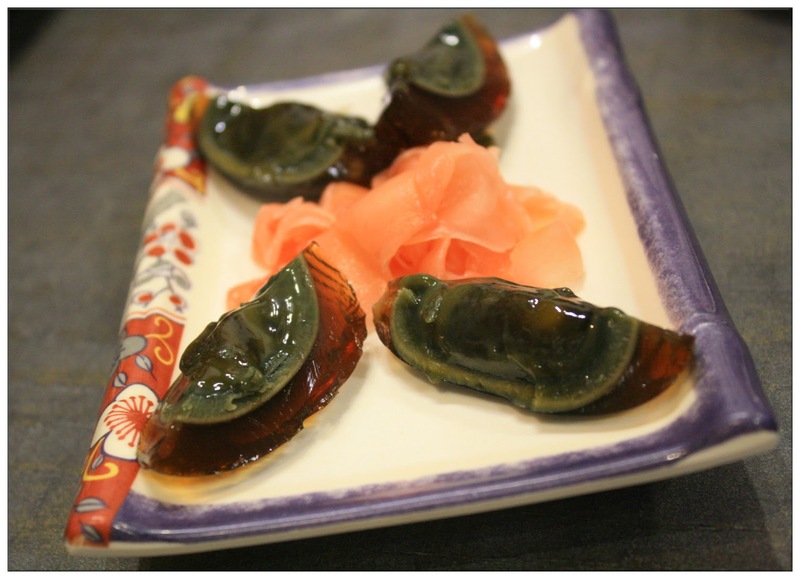 Look at the crystal clear century egg with its melting fillings. Although I'm not one who likes to eat century egg, but I think this one will be the favourite of those who does! I like this fresh Japanese cucumber simmered with light soy sauce and garnished with carrot slices and sesame. 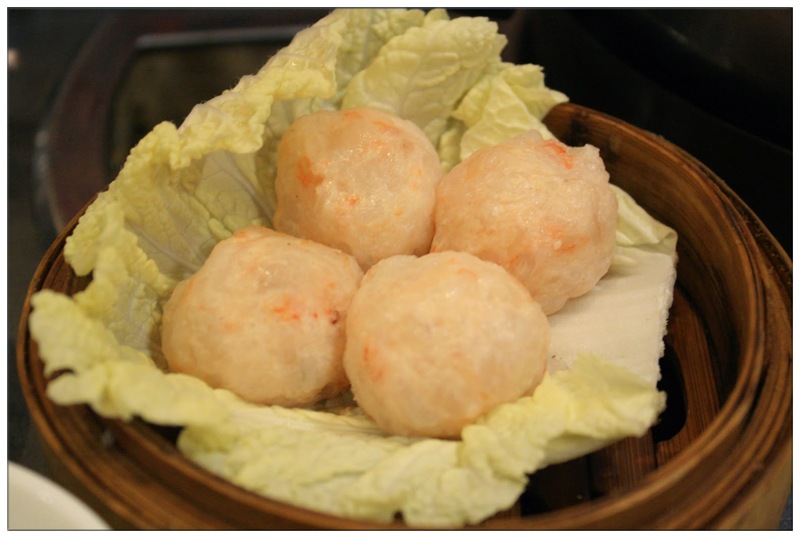 It's crunchy outer and sauce-soften inner makes you want for more. 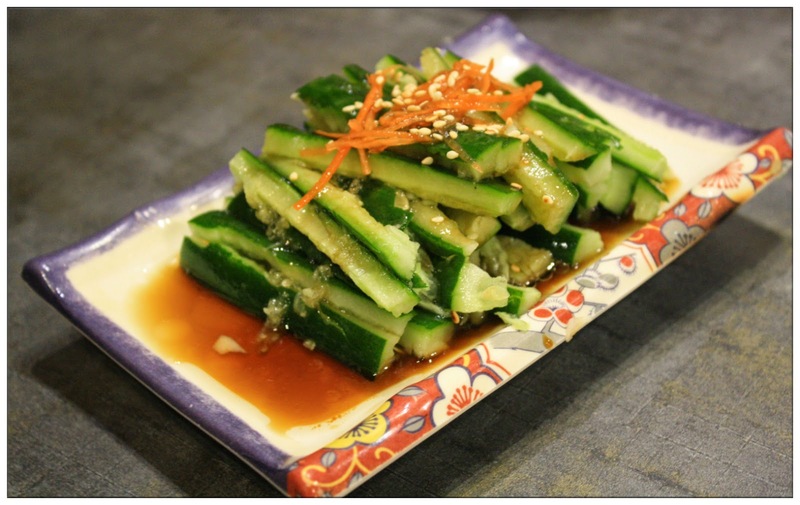 Fresh and crisp taste of this japanese cucumber makes it perfect as appetizer and it does slowly prepare your appetite for all the good food that's coming! 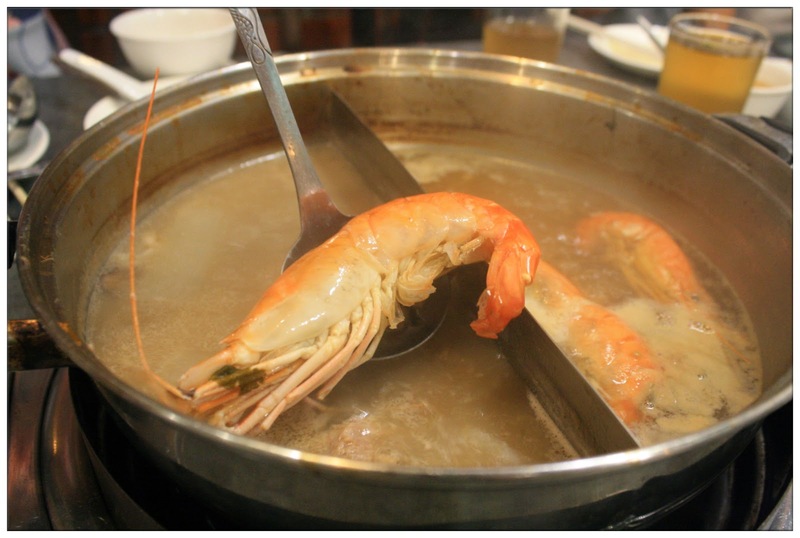 So, what do you look into when it comes to having a meal at a steamboat restaurants? Some likes tasteful soup base, some like fresh and light taste soup, and others care a lot about the freshness of the raw ingredients that are served as dishes. I prefer soup base with more heavy taste, hence everytime I would order tom yam soup base or prepare the soup base myself if I were having steamboat at my house. I'm sure most of you like to drink soup, especially those that were cooked by your mum. 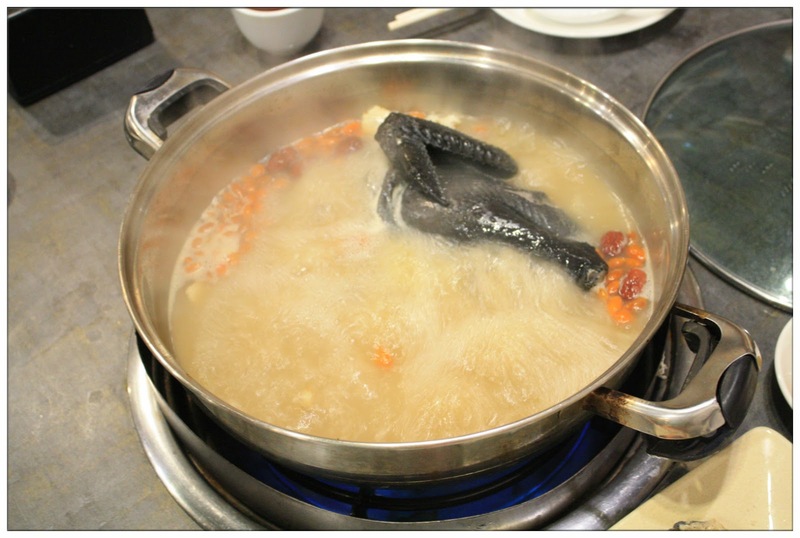 The soup taste natural sweet due to long hours of boiling and it is the kind of happiness of home cook food. The first sip I took from the Black Chicken Herbal Soup I was stun, this pot of soup is so yummy that it is such a waste to make it as steamboat soup base! Same goes to their Pork Oriental and special recipe Clear Tomyam Soup that even chef from Thailand was amazed by their authenticity of clear tomyam taste. I prefer the Clear Tomyam Soup and Black Chicken Herbal Soup the most, and believe it or not, they don't add MSG into their soup to make it sweet, long hours of boiling and uses fresh ingredients is the main key for their yummylicious soup base. The photos are amazing isn't? Wait until you put them into your mouth, you'll be amazed by the taste of fresh ingredients and bouncy-ness of these handmade meatballs and fishballs. 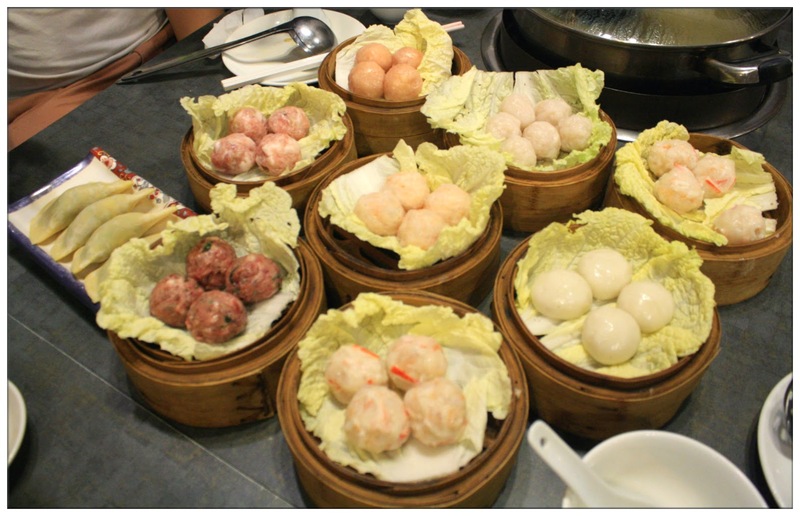 There are 8 types of handmade meatballs including: Signature Beef Ball, Golden Yolk Pork Ball, Mushroom Pork Ball, Crystal Fish Ball, Squid Ball, Shrimp Ball, Seafood Ball, Quail Egg Chicken Ball and Dumplings. They are range from RM6 - RM8 per servings. 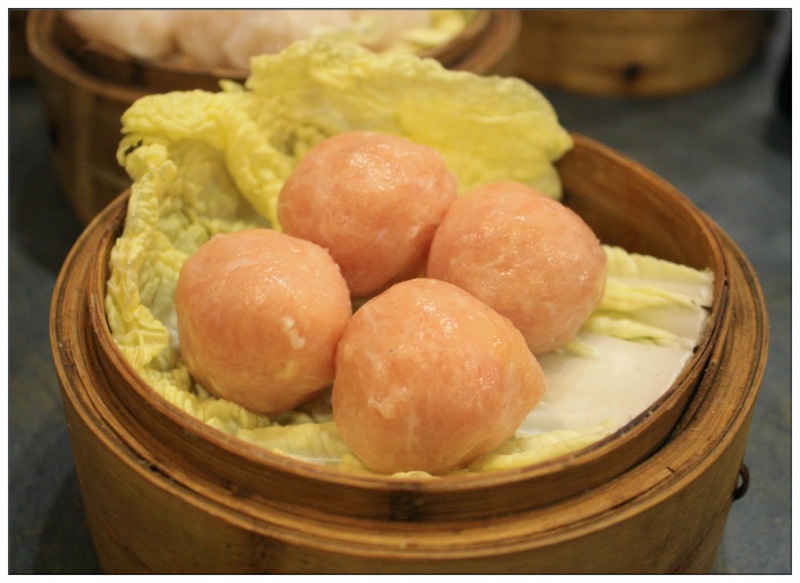 My personal favourite was the shrimp ball, golden yolk pork ball and beef ball. You have no idea how good they were until you taste it with your own mouth. 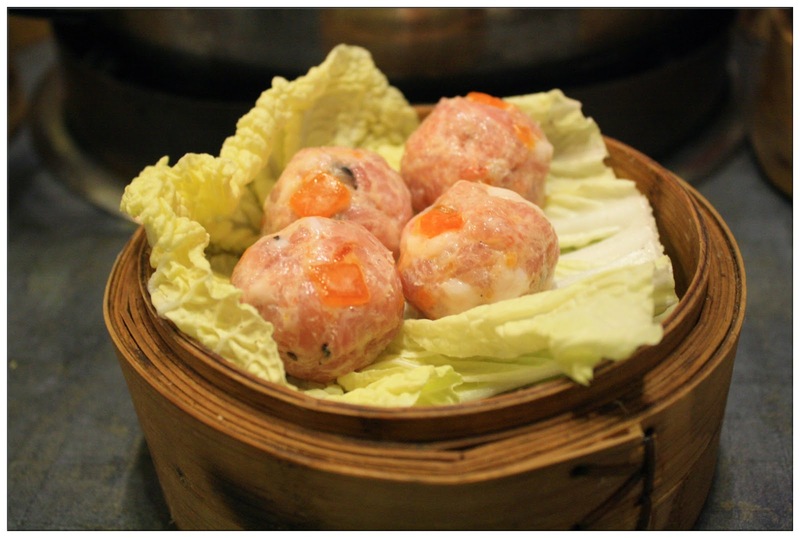 The shrimp ball was literally full of bouncy shrimp dancing inside your mouth with joy; the golden yolk pork ball blends so well with each other that each bite is a surprise; and also the beef ball has this natural aroma taste of beef that makes you want more! 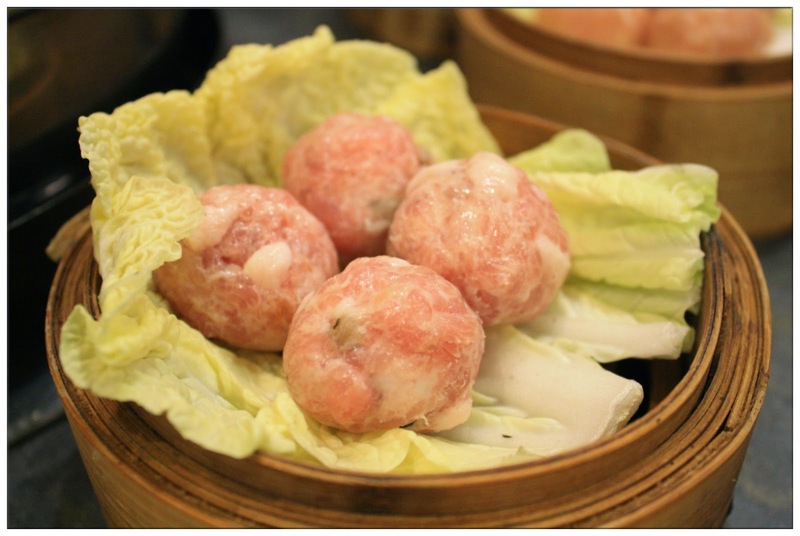 Each and every handmade meatballs of Dian Huo Xin Wo is a must try in my honest opinion. Right after we stuffed all the meatballs and fishballs into our mouth, here comes another round of ingredients which are fresh prawns RM20, Australian Snowflake Slice Beef RM18, Slice Chicken RM12, Mongolian Slice Lamb RM25 and Slice Pork Loin RM16. 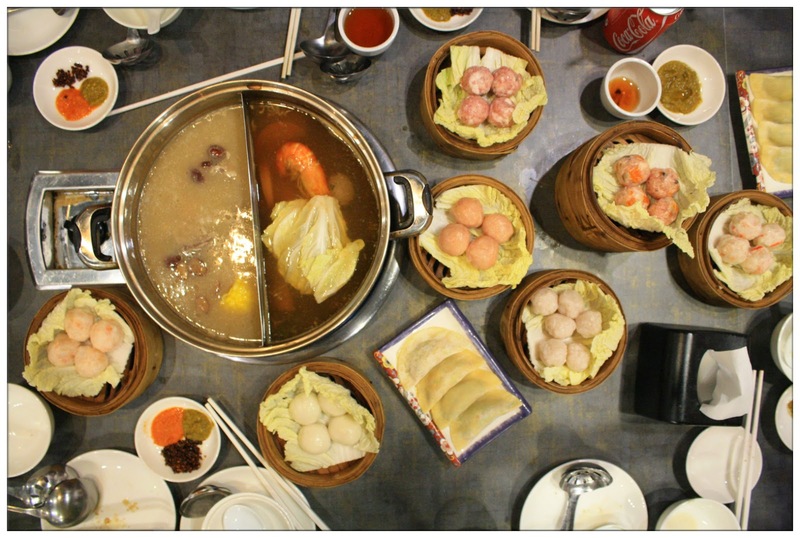 Instead of serving in small square plates like other steamboat restaurants, these dishes each served in a huge plate that totally worth the price paying! Huge plate, lotsa slices of meat, I like!!! 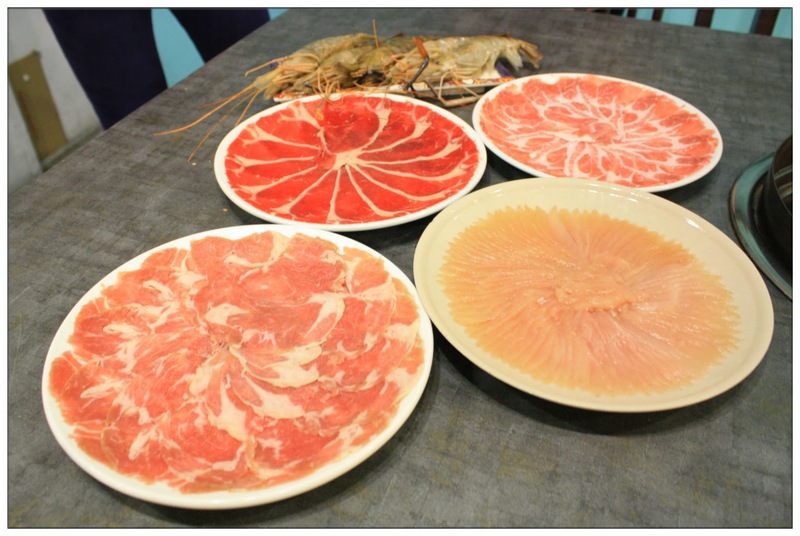 Look at this fresh huge prawns!!! We're basically done for our dinner of the night. 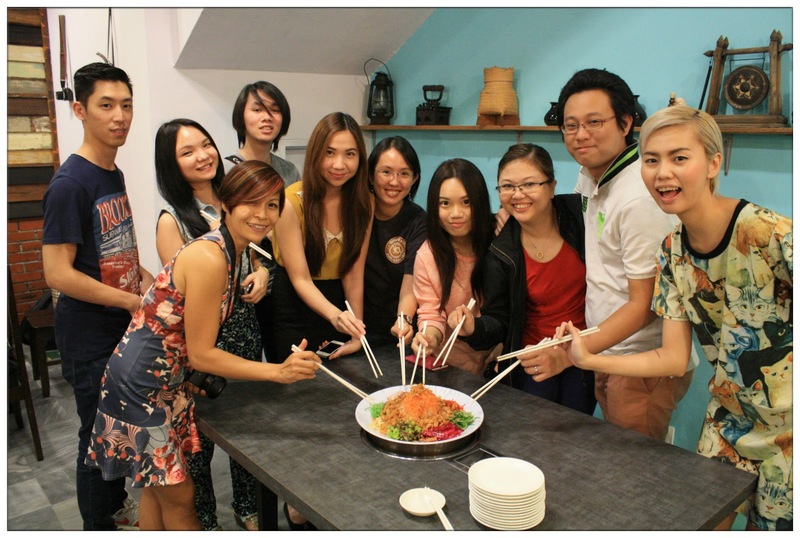 It was such an enjoyable night of feast with the freshest ingredients you can ever taste. The prawns, the slices of meat, the awesome handmade meatballs. 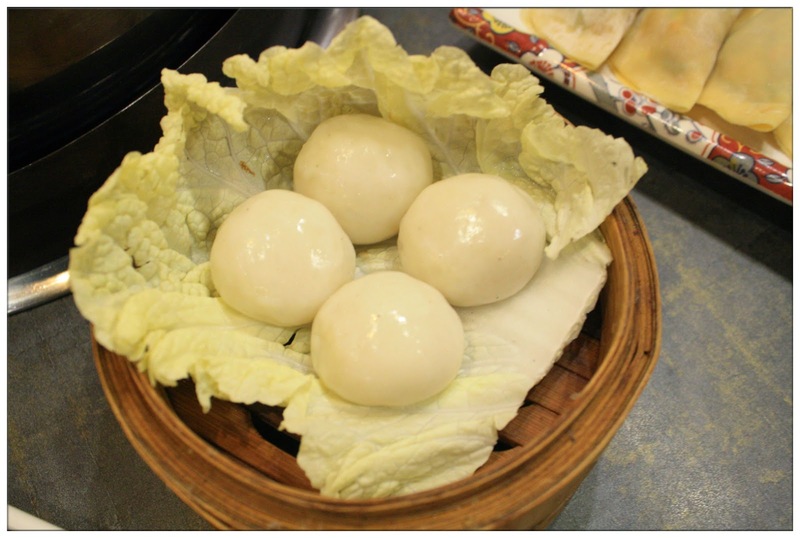 Owners of Dian Huo Xin Wo put their mind and heart into creating the most valuable and yet delicious recipe and menu for their customers. 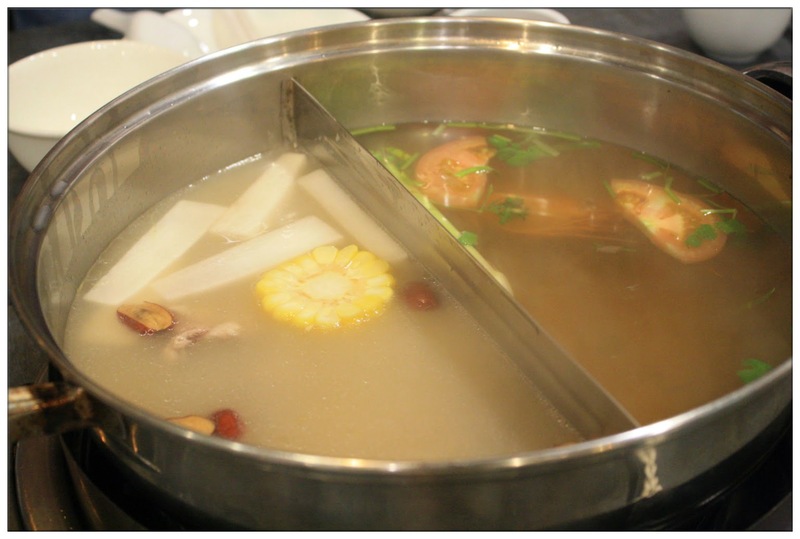 It's so hard to be able to find such a heart-warming kind of steamboat restaurants that wants their customers to have the best ingredients and steamboat experience these days. That's not all! In conjunction with Chinese New Year, Dian Huo Xin Wo released their awesome bacon Yee Sang this year for you and your family to lou sang together! Bacon yee sang with dragonfruits, yummeh! This is the first time I lou sang without the raw fish slices but replace with bacon instead. 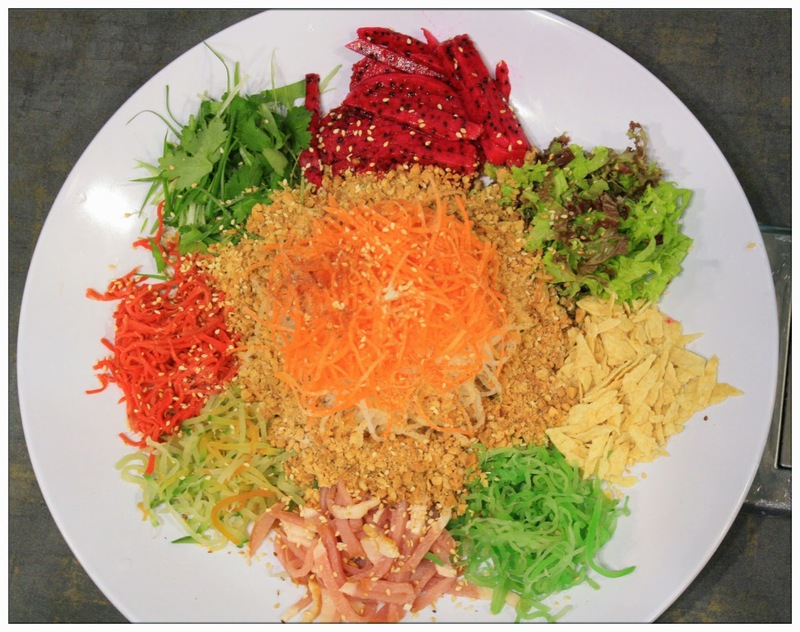 Guess what, this plate of yee sang is super awesome in taste! The aroma of smoked pork bacon mixed so well with the vegetable slices and also dragonfruits, plus the homemade yee sang sauce create by Dian Huo Xin Wo themselves, it's a yee sang you must order this Chinese New Year! At just RM68, you get a big plate of bacon yee sang that's gonna amazed your friends and family with its delicious taste! 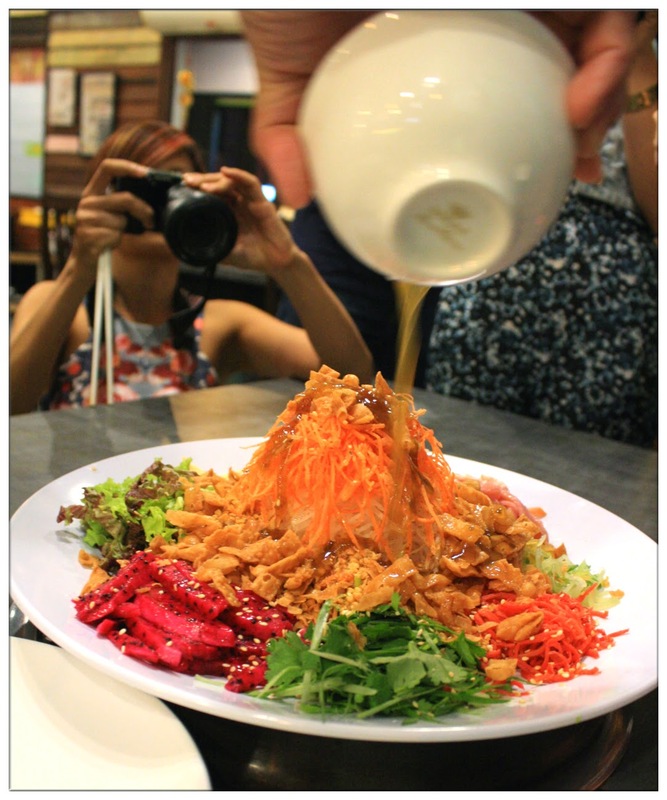 Feel free to place your order of the bacon yee sang of Dian Huo Xin Wo and you get to take away on the Chinese New Year's eve, just about time for a reunion dinner lou sang with all your beloved family members who come back from all over the place with this special dish! Business Hours: Tue - Sun 5pm - 11pm.